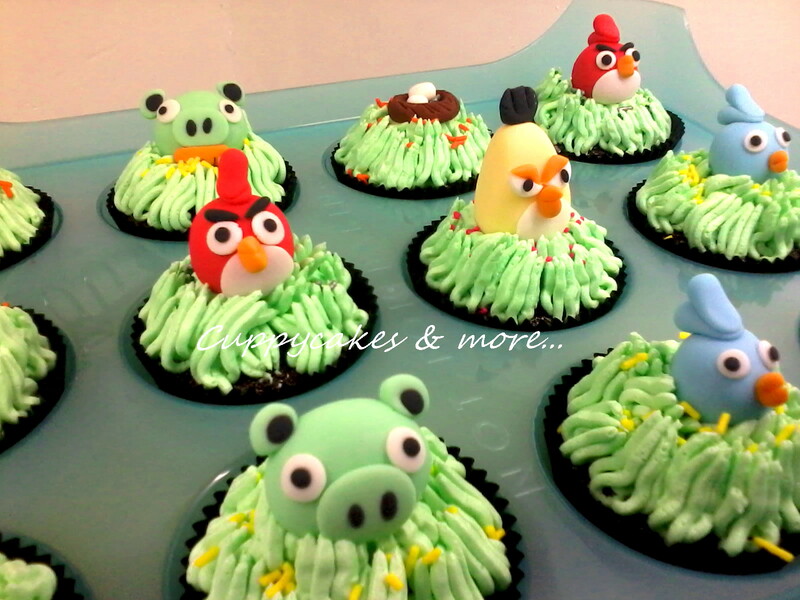 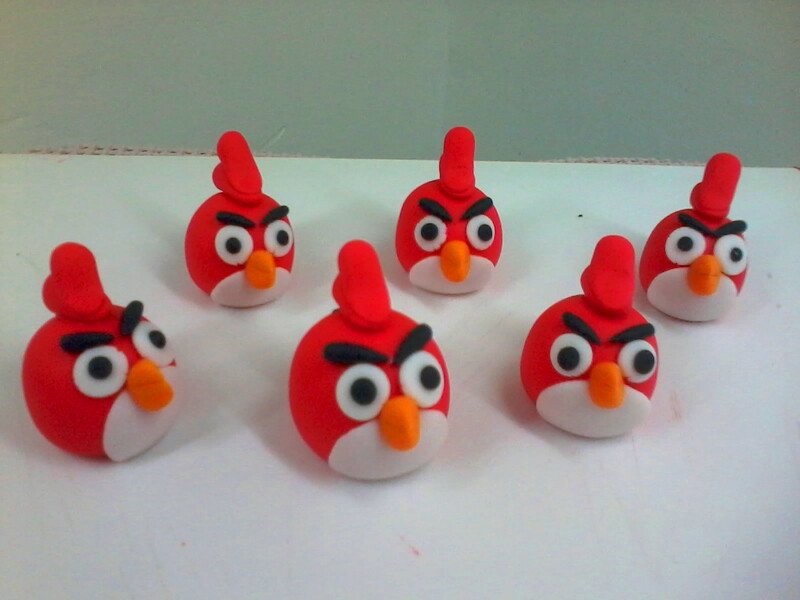 I am often asked how I make my angry birds. 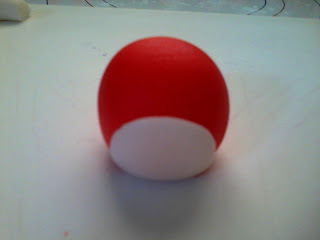 So here is the first installment of the series of tutorials on how I do every one of them. 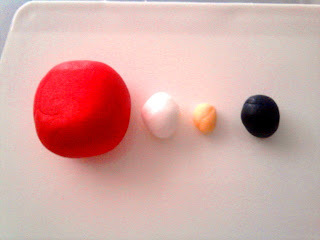 Let's start making the STAR of them all. 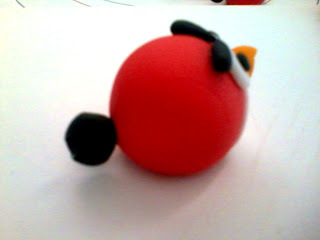 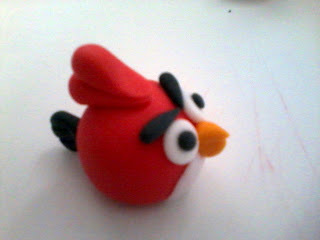 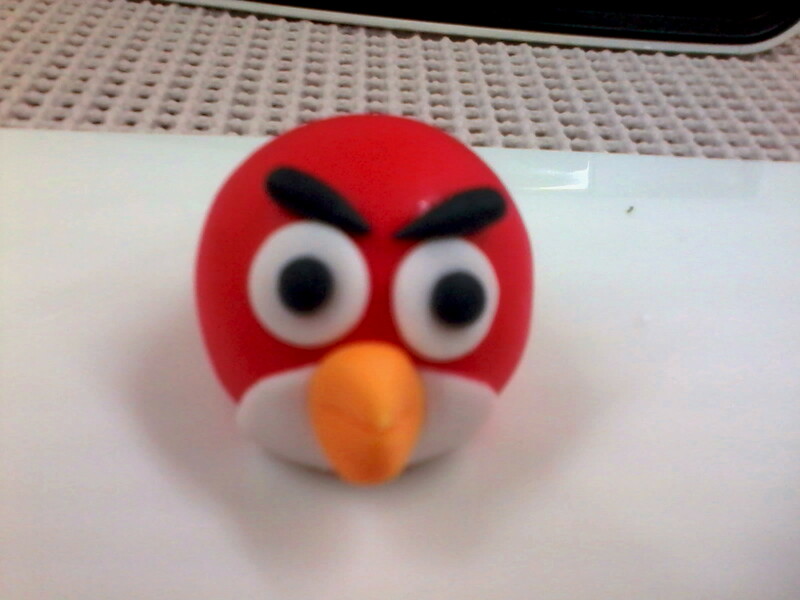 My favorite....the Red Angry Bird. 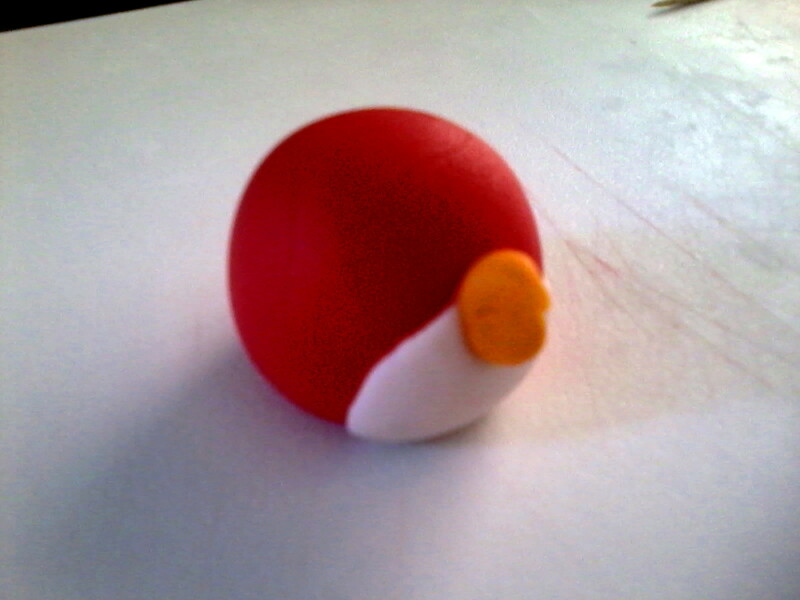 Get your fondant and tools ready. 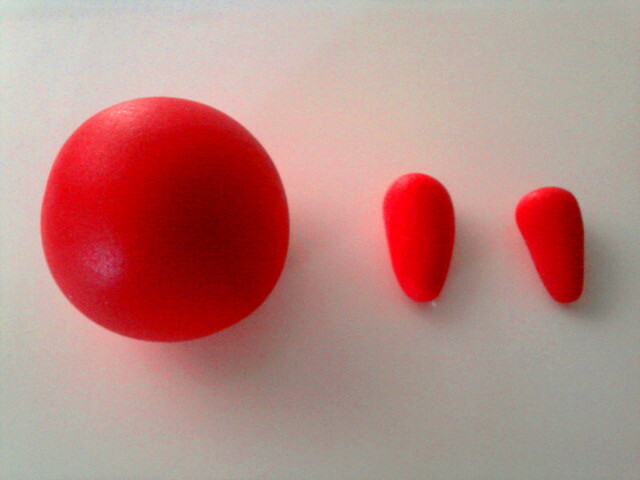 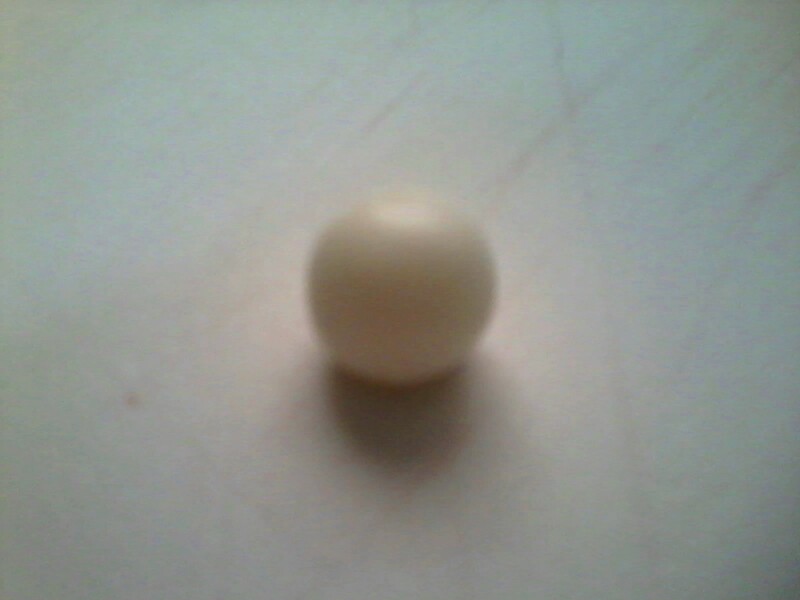 Divide the small ball into 2 pieces and roll each piece into a tear drop shape. Dab a small amount of water on one and put on top of the other. 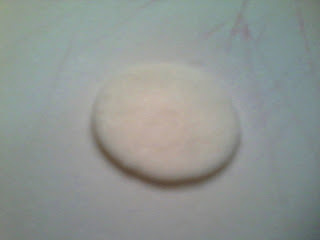 Roll a small piece of white fondant. And flatten ( I used the back of my cake scraper ) or better and easier to cut a circle from a rolled fondant using a round cutter. Use the water to glue it on the bottom of the red fondant body. 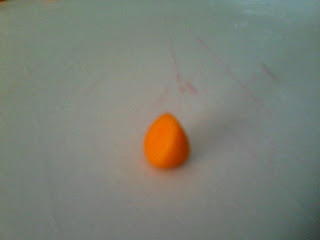 To make the beak, roll orange fondant to a tear drop shape and gently pinch to form a triangle beak. Indent a line into the beak. 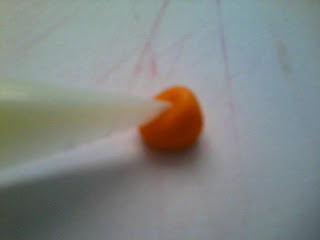 Glue beak in the middle. 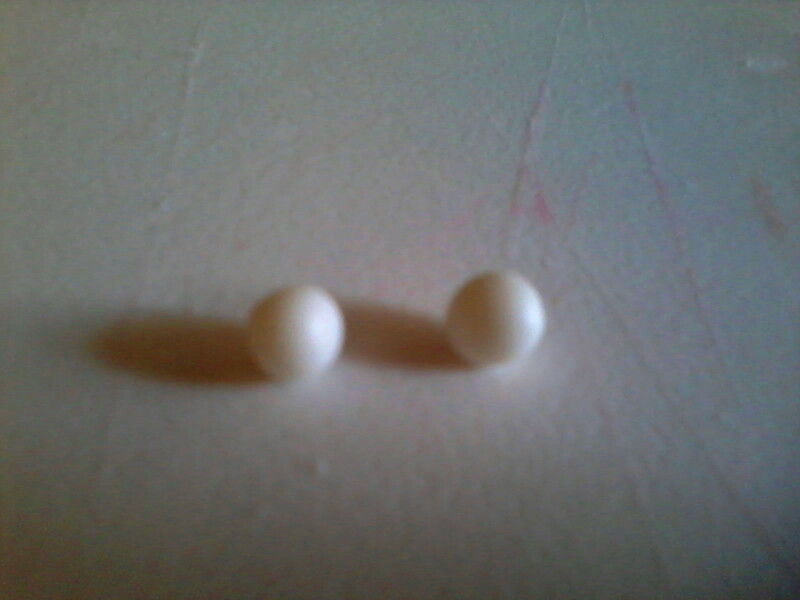 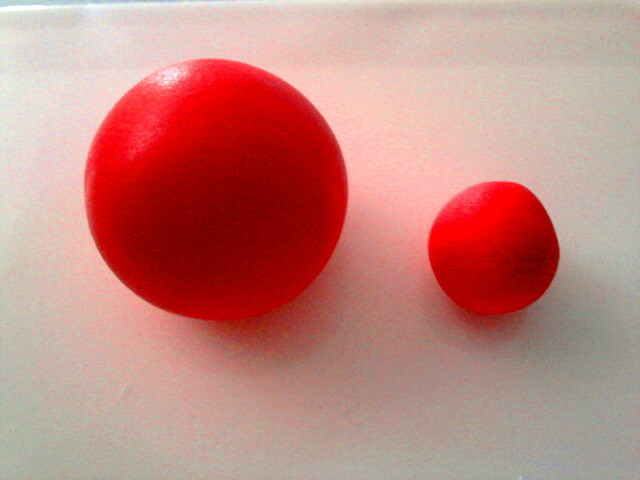 Make two small balls for the eyes and flatten. 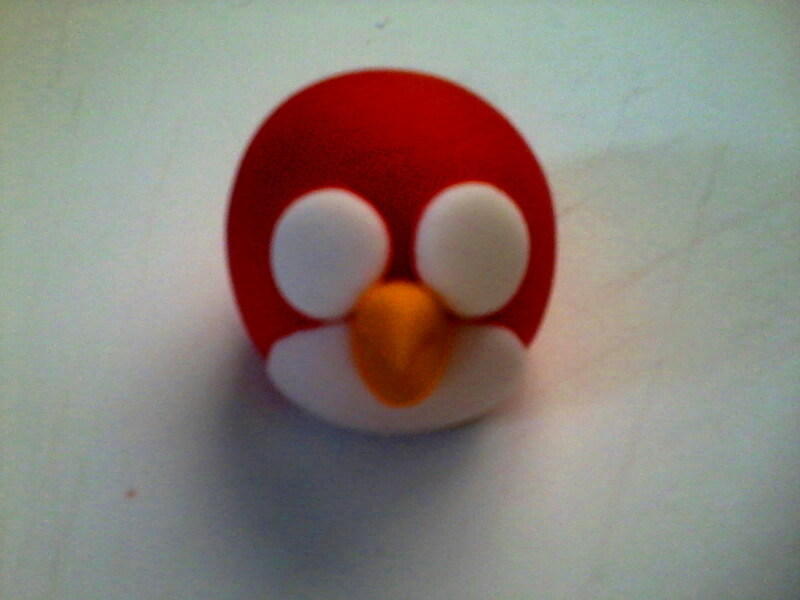 Place on top of the beak. You'll need to make dot size balls of black fondant to serve as the birds eyeballs. Place in the middle of the eyes. 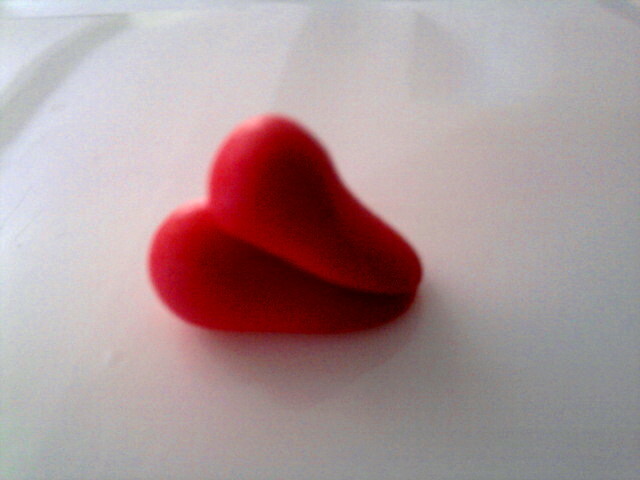 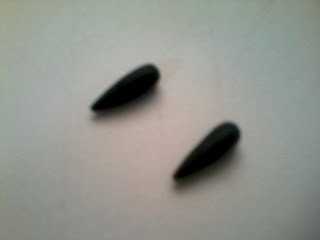 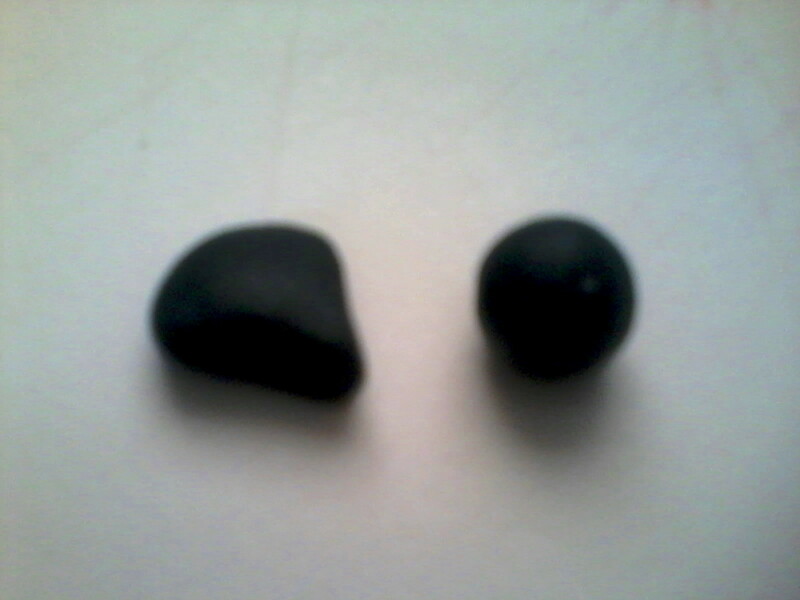 Make two small tear drop shaped black fondant for its eyebrows. 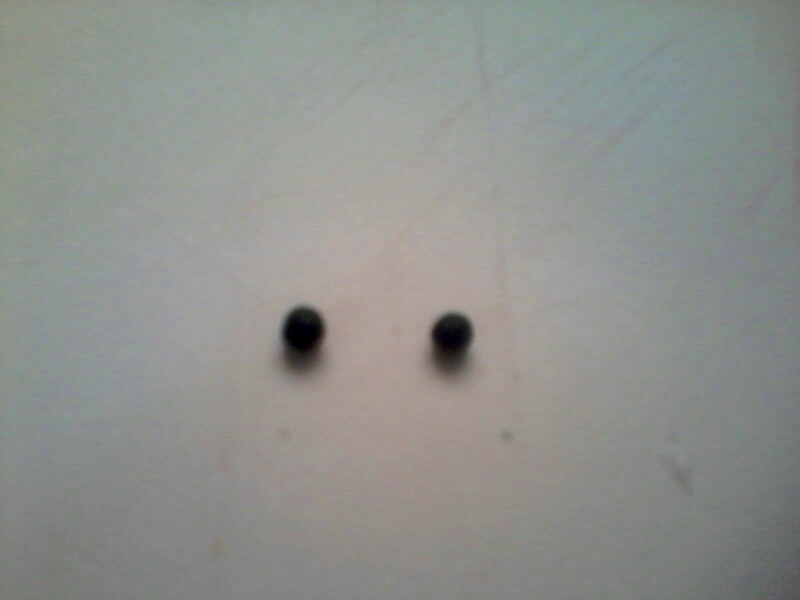 Position on top of the eyes. 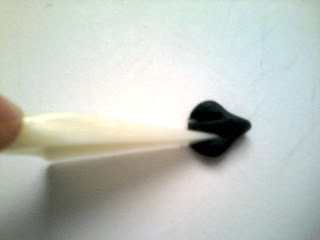 For the feather on its back, shape black fondant like so and indent 3 small lines. 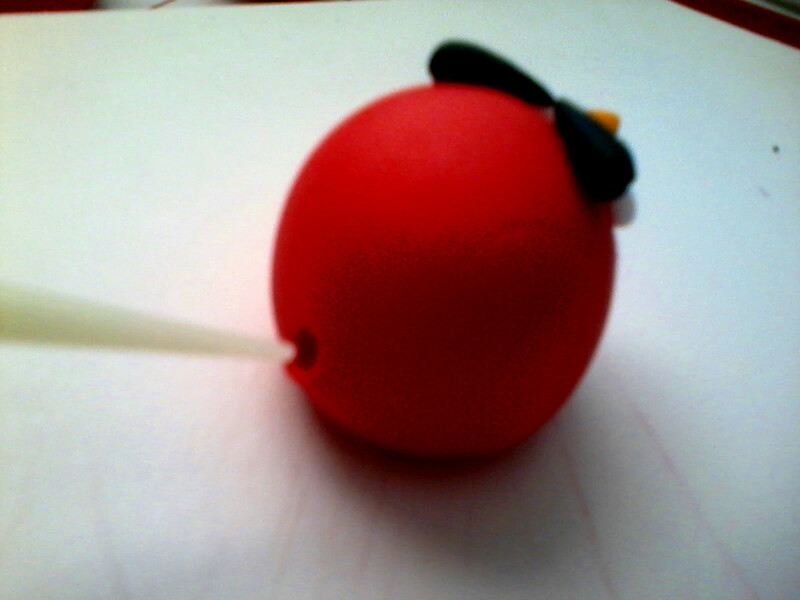 And insert the feather there. 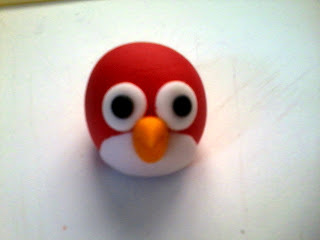 Lastly, place the red fondant feather on top of its head. Tada!....now we're ready to place it on our cake and cupcakes. 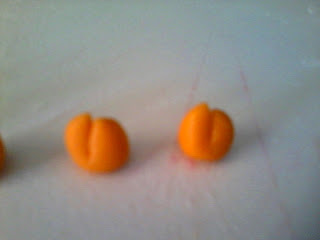 do you also use bakels to cover your cakes? 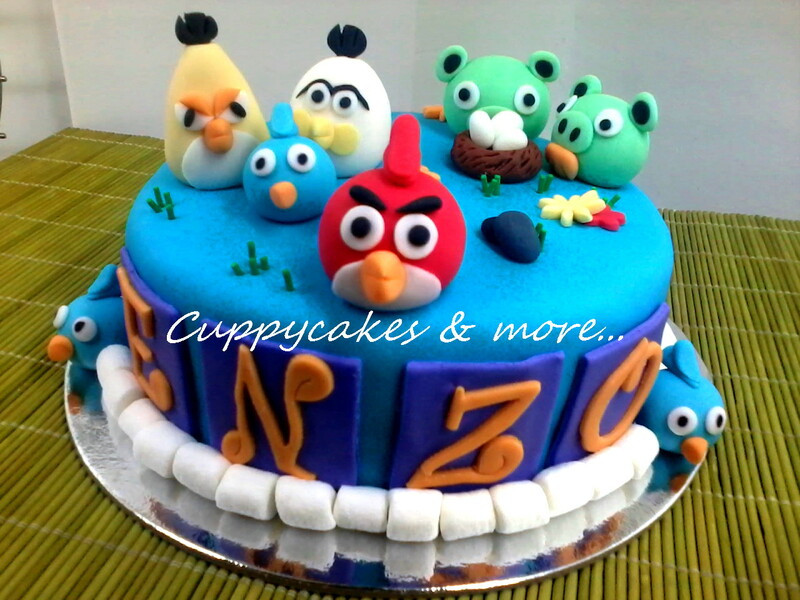 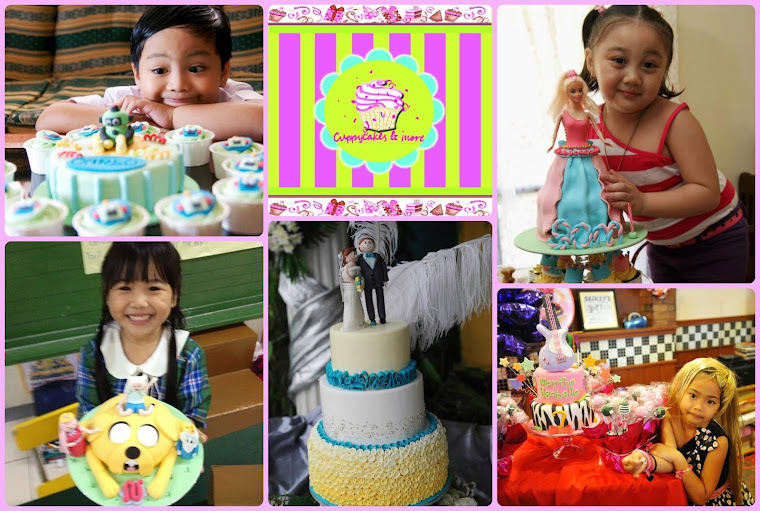 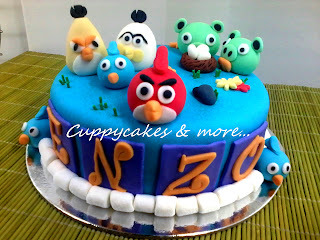 have you tried using marshmallow fondant?